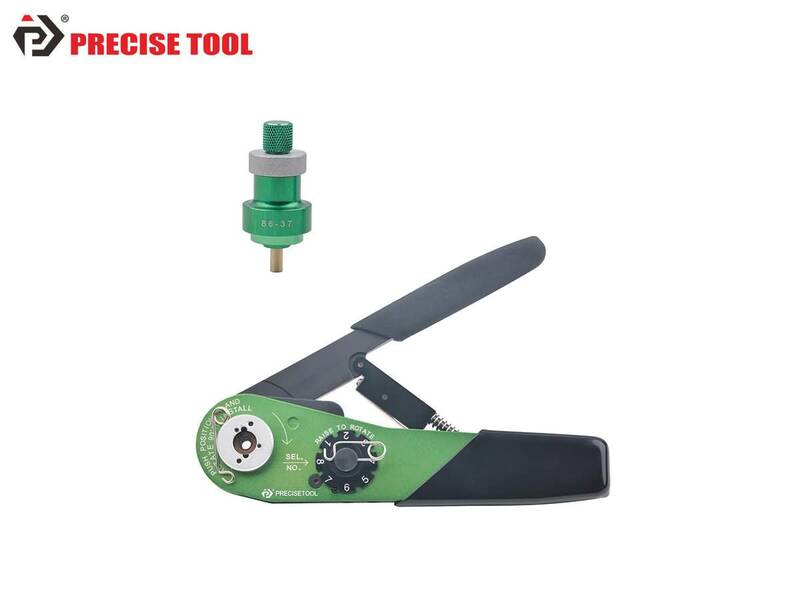 PRECISETOOL KIT2011(YJQ-W7A&86-37) Crimp Tool Kit-Jiaxing Jingrui Instrument & Equipment Co., Ltd.
YJQ-W7A is compatible with the MIL-C-22520/7-01 which is widely used for the crimping of wires and contacts in electronic connectors. 86-37universal positioner is used to locate contacts horizontally and vertically between the indenters of the tools to ensure the accuracy and consistency of the crimp position. The height adjusting screw can be rotated until the contact is in the proper position for crimping. Suitable for different types of contacts. 5. Remove the spring clip from the selector knob, adjust it to the correct selector position.